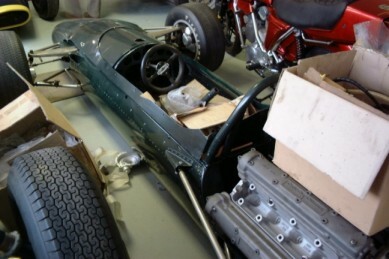 Paul Emery had purchased the 1950's Climax FPE 2½ litre F1 engine project, and developed the motors into 3 litres for the new Formula 1. 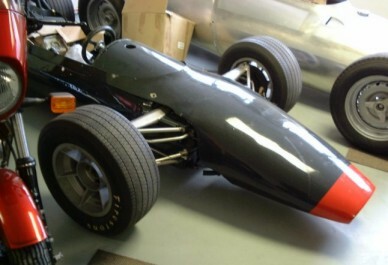 Aiden Jones produced a tiny monocoque chassis into which they fitted the 3 litre engine. 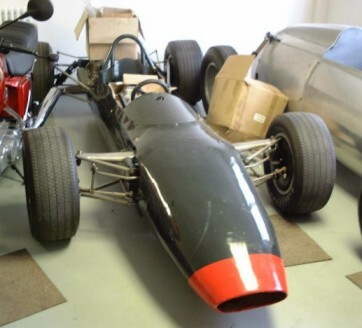 The car raced one, in the 1966 British GP (where it retired due to fuel pump failure- a result of being hastily finished the night before the race), lack of funds precluded any further Formula 1 races. The car has amazing potential - in eth British GP it qualified ahead of Guy Ligier's Cooper Maserati, and the engine produced 320 BHp on Chrysler's dyno. in Kew. 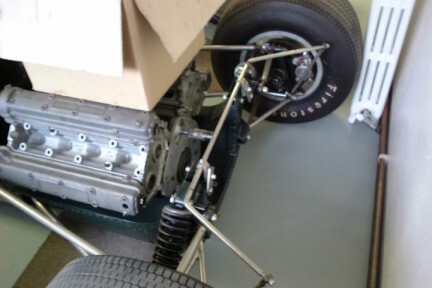 Later the chassis was raced very successfully as a 1 litre F3 car. Sold in 2006 to the List family in Austria, where it has joined the first two Emeryson F1 cars and an Emeryson 500.